Free Czech Republic flag downloads including pictures in GIF, JPG, and PNG formats in small, medium, and large sizes. Vector files are available in AI, EPS, and SVG formats. A printable PDF version of the flag is also available. Note that you may need to adjust printer settings for the best results since flags come in varying dimensions. 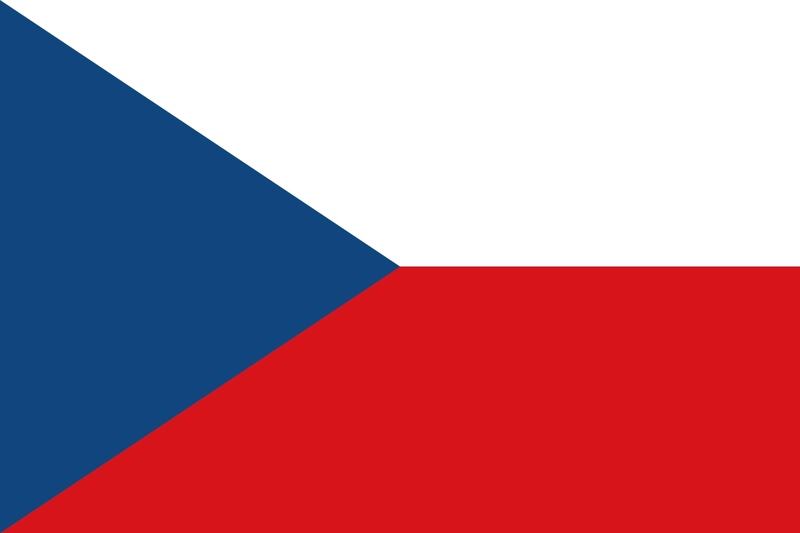 All Czech Republic flag images on this page are royalty free. They may be used in personal and educational works or publications unless such use is prohibited by law. All downloads are based on files from sources claiming to be public domain. If you use the images, credit is appreciated, but not required.